Originally, we had reported that the HTC Titan II would become available through Telstra in April 2012, now that time has come and gone. According to WPDownUnder, they have received insider information that the HTC Titan II is now dated for the 22nd of May 2012. That date is specifically for the phone becoming available through contract on Telstra in-store, therefore a launch with online availability can be as soon as Tuesday, May 15, 2012. 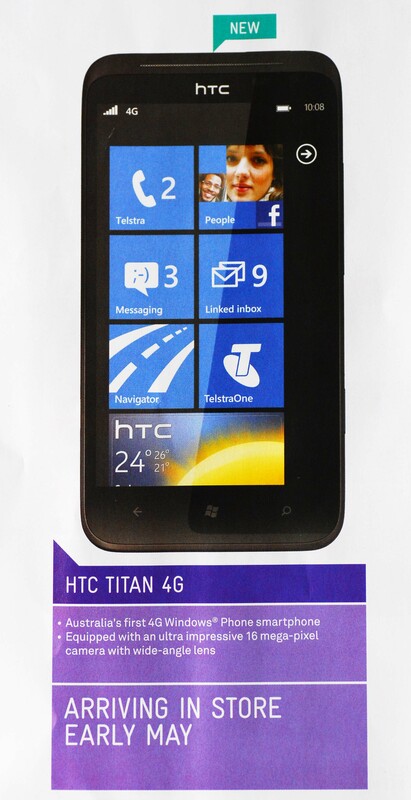 Sources also received some official ad images of the HTC Titan II, soon expected to release on Telstra in May 2012. No information on pricing or Telstra data plans to be offered.